Surprise Machin Gold Head Horizon Label Trial !! An unannounced new Horizon Label, bearing the Machin Head and with die-cut 'perforations', was trialled at the Branch Post Office at Camden High Street, in London, on Monday 8th June. The new labels were printed by De La Rue, and were available only for the Special Delivery service, costing £4.95. We understand that although exact quantities are not known the number of labels available for the trial is not large. Branch staff on the day explained there were only a limited quantity available as they were the only trial office and a nationwide roll out would be dependant on the results and a further printing of the label which would not necessarily be the same. The labels are gold, with ROYAL MAIL security overprint (no unusual spellings as far as we know! ), and have several security slits similar to those found on the regular Machins issued in February. 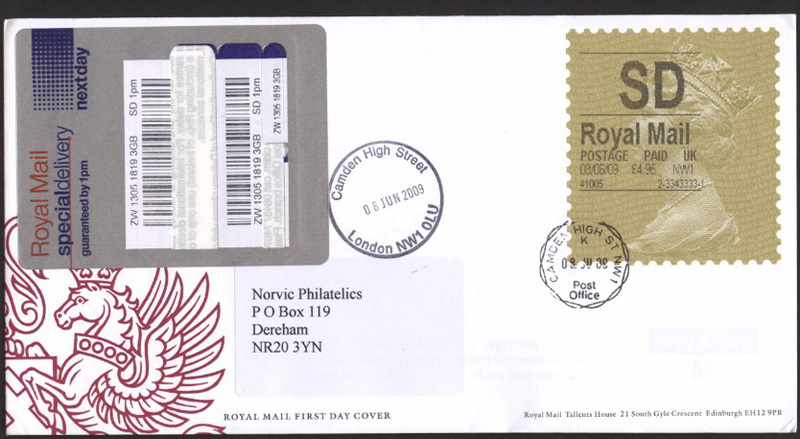 Although this may not be regarded by some as a stamp, and may not be listed by mainstream catalogues, it is sure to be sought after by many collectors of Machin stamps and postal mechanisation speciaists. Unusually, for modern developments, examples will all be posted to UK addresses as the Special Delivery service is not available to international destinations. I suppose this was inevitable, to bring the labels into line with the Security Machins and the "Post and Go" labels all using a similar security background. I just hope tat there is a revised layout for the printed service indicator, the present situation with the writing obscuring the design is just plain ugly. Inevitable for a commercial purpose I think: the Machin effigy would became the trademark of the Royal Mail services against other competitors. If RM succeeded in that matter, what a challenge to those in charge of creating the next royal portrait on stamps: portrait of a King and the monarchy, 'and' commercial trademark of RM. 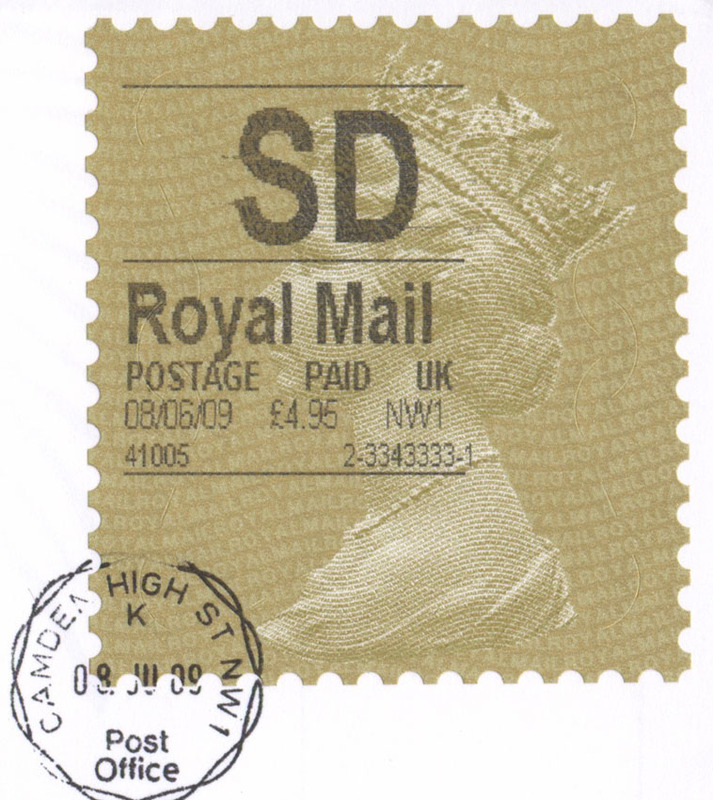 2009 & 2010 Stamp Programme updates. Extra 'Design Classics' retail books?? ?